Here we are, the second week is terminated (the first one where all the team is present). 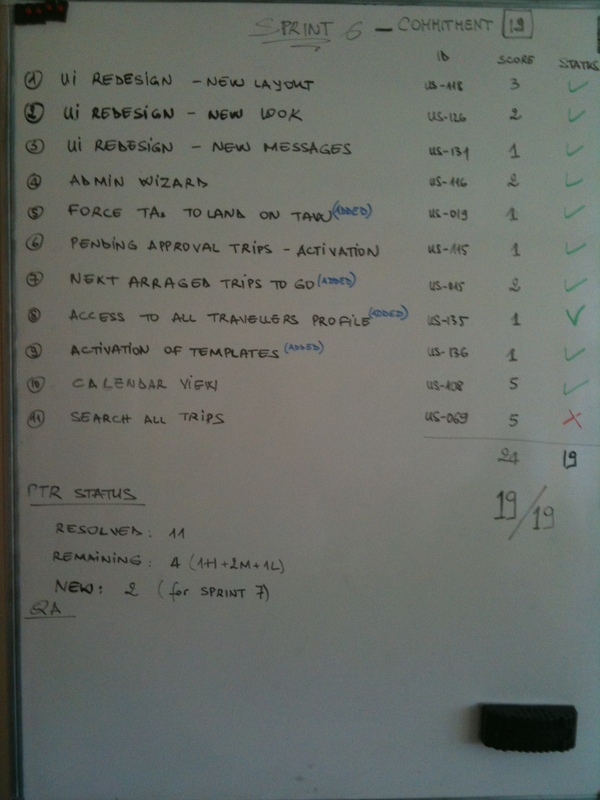 For the moment we officially achieved only 2 points on the 13 of the sprint but two other user stories have been completed today and we wait only the approval of Claire. Next week we’ll have to complete the story to search the travellers (almost finished) and to do some work on the story to search the arranged trips. The demo is planned for Thursday… it will be a busy week so I think it’s better to recharge our batteries during this long weekend 😉 (Monday is vacation: ” lundi de pentecote”). See you soon!